Digital workplace technologies and strategies are making enterprises more conversational and smarter. So Artificial Intelligence (AI) is all the rage these days. AI and machine learning algorithms are increasingly being brought to bear on collaborative business workflows and processes for automation and to enable intelligent conversational experiences. There is a paradigm shift in digital workplace technologies and strategies to make enterprises more conversational and smarter. Such conversational environments require data, content, people, applications and overall technology to be in an intimate contextual flow and persistent. 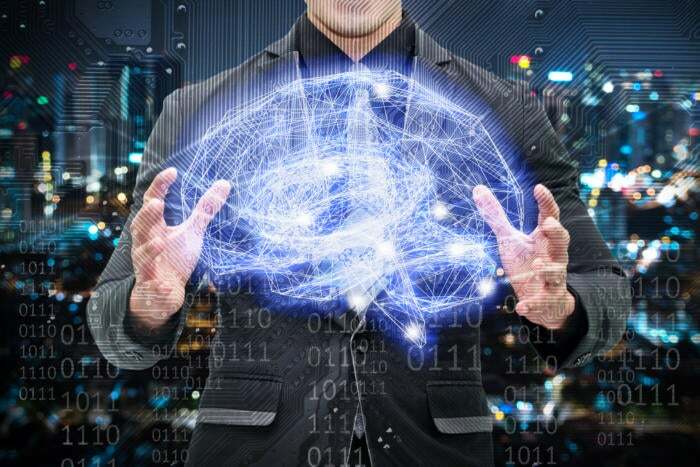 The emerging focus on AI is really about making decision support systems more efficient across a multitude of applications, processes and business domains. I believe AI will bring intelligent collaboration capabilities to the emerging Conversational Workspace platforms, represented by vendors/offerings such as Slack, Atlassian HipChat, Microsoft Teams, Workplace by Facebook, Unify Circuit, Cisco Spark, RingCentral Glip, 8x8 Sameroom, MindLink, IBM Watson Workspace, ALE Rainbow, Fuze, Google Hangouts Chat, Jive and Nextplane nCore. So I just rattled off a long list of providers and offerings here in no particular order, because I want to make it abundantly clear that there is significant momentum. AI and chatbots are being incorporated in these offerings to improve workflows and to support conversational experiences. Clearly, collaboration is critical for any organization to succeed. Businesses need to interact efficiently with both internal and external parties and constituents. The most effective way to nurture a collaborative workplace is to foster a culture in which collaboration and engagement are respected and rewarded. What I’ve referred to as “Intelligent collaboration,” is really about the application of intelligence to collaborative interactions to achieve deeper insights that produce better decision-making at all points in the process. It may include virtual or voice assistance to make interactions easier and more automated. (The best-known virtual assistants are Apple’s Siri, Amazon’s Alexa, Google Assistant and Microsoft’s Cortana.) Leading AI systems include a library of process-level routines or “bots” to assist in automating repetitive tasks. We expect other providers will bring similar capabilities to the market. This brings us to an interesting market showdown of collaboration providers investing heavily in AI. The major technology vendors are now vying for dominance in the overall artificial intelligence space. There have been strong moves by major players such as Amazon, Apple, Google, IBM and Microsoft in this space. Interestingly enough, it's being rumored that Amazon is among other players interested in a Slack takeover. Slack could potentially be valued at $9 billion in a sale. Amazon and Slack together could potentially be an AI powerhouse with Slack's AI, the AWS developer ecosystem, Alexa and intelligent bots. Google and Microsoft have both established strategic research divisions in the area of AI. Google benefits from its rich search inventory and deep investments in machine learning. At its May 17, 2017, Google I/O developers conference keynote, Google announced google.ai, will be the place to access everything it’s working on in AI. Google leverages its AI and machine learning capabilities already in its collaboration and productivity offerings. In like manner, Microsoft, at its recent Build 2017 conference unveiled its Microsoft Cognitive Services offering of AI capabilities for developers. Microsoft already incorporates its AI capabilities throughout the Office 365 content, collaboration and productivity suite. Along with the Microsoft Bot Framework, the idea is to support conversational experiences. Both Microsoft and Google are trying to expand their ecosystem of partners and developers here. However, this is more than Google and Microsoft. Every collaboration vendor is trying to navigate its way here. Acquisitions have been a critical strategy to advance AI capabilities. For example, Cisco just announced its acquisition of MindMeld for $125M, which enables the deployment of AI enabled conversational interfaces. I expect to see initial integration into Cisco’s collaboration offerings such as Spark, its conversational workspace platform. Additionally, business applications providers focused on collaborative workflows and improving customer digital experiences such as Adobe and Salesforce, have made significant strides in AI with Sensei and Einstein respectively. So what does all this mean? I cite the previous examples as the signals to a fundamental shift in workplace collaboration and collaborative workflows. What vendors are responding to is the direct impact of digital disruption and transformation, which places increasing importance on enterprise collaboration workflows, information flows and a refocus on creating better user experiences for the people involved in critical business processes. Adding AI and all its flavors such as machine learning, natural language processing (NLP) and the use of chatbots, will usher in a new wave of intelligent communications and collaboration, which will potentially enable better conversational experiences.